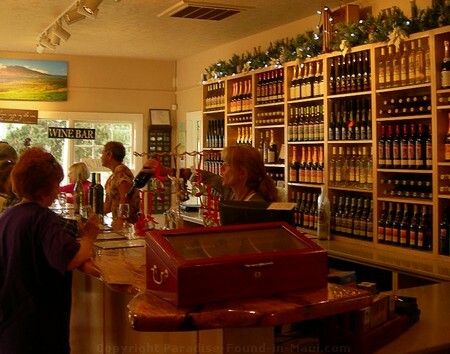 Tedeschi Winery: One of Upcountry Maui's Many Treasures! 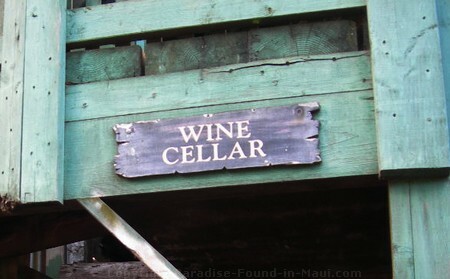 The Tedeschi Winery at Ulupalakua Ranch is a beautiful place to visit in Upcountry Maui. And, everyone aged 21 and up will be rewarded with free wine tastings - who can pass THAT up? If you go, be sure to try and make it for one of their free winery tours. When we were here, 30 minute tours were offered twice daily at 10:30 a.m. and 1:30 p.m. Our guide's telling of the history of the place truly brought everything to life and made the visit extra special. 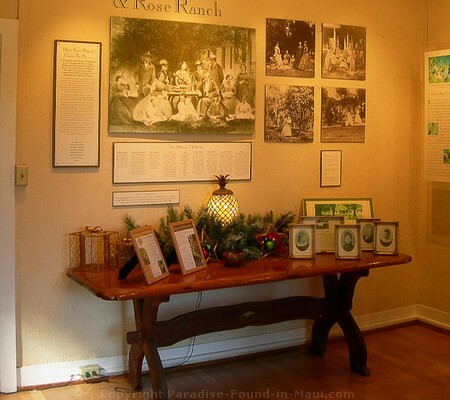 The very room where you get to taste their wines was used as a guest cottage for King Kalakaua when he came to the Ulupalakua Ranch back in 1874 - back then, it was known as the "Rose Ranch." King Kalakaua was known as the "Merry Monarch" for his love of a good party, poker, and fine champagne. 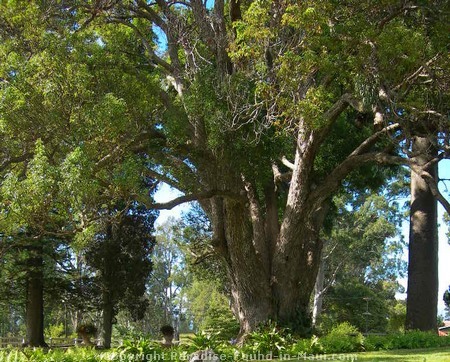 As we sidled up to the 18-foot mango tree bar (made from the trunk of a single mango tree - so cool! ), we were offered a taste of 4 different wines: Maui Splash (sweet white, made from pineapple), Maui Blanc (semi-dry white, made from pineapple), Upcountry Gold (dry white, made from grapes), and Ulupalakua Red (dry red, made from grapes). 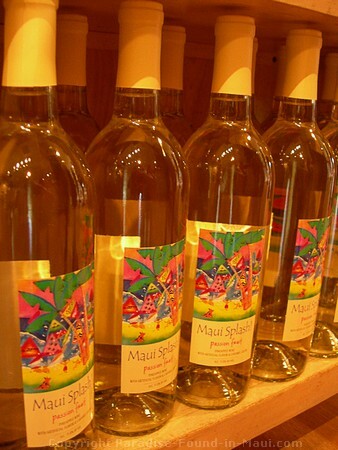 Maui Splash is my absolute favourite because I adore sweet wines. 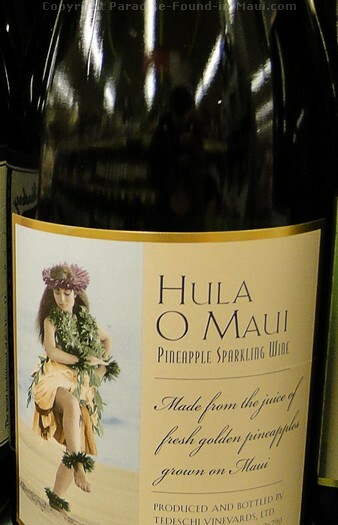 This is one of their pineapple wines, made from the juice of fresh Maui pineapples. Plus, Tedeschi Winery has added the delicious taste of sweet passion fruit and ripe peaches, which I love. Ever since my first sip of this wine, I've bought it every single time I'm in Maui. I can't get it at home, so I figure I may as well enjoy while I can. I wonder which one the king would have liked best? Tip: If you think you might be tempted into buying some of the wine from Tedeschi Winery, before you visit, be sure to price out some of their wines at grocery and convenience stores near to where you are staying (ex. the ABC stores). For all of the wines we compared, every single one of their wines was more expensive if bought by the bottle at the winery. 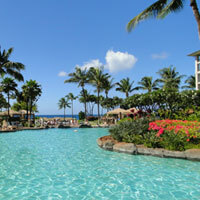 Tedeschi Winery's award-winning Hula 'O Maui has had a brush with celebrity as it was featured on Emeril Lagasse's TV cooking show. They also produced a sparkling Maui Brut that was served to President Ronald Reagan at his inauguration in the early 80's. It is often sold out - so, if you see it and want to try it, you'd better buy some quick, in case you can't get it on your next trip! All of those bubbles in their sparkling wines are formed via the traditional century-old French process of “methode champenoise,” and requires a minimum 3 years of aging. After the aging is complete, the bottles are carefully turned by hand every single day for 90 days as part of a process known as "hand riddling." 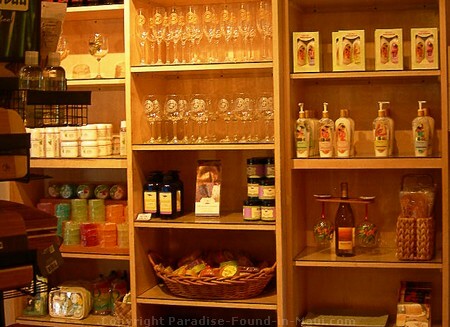 If the bar is crowded when you arrive, you can wait it out by browsing in their gift shop, full of wine, chocolate, bath and body products, even clothing! 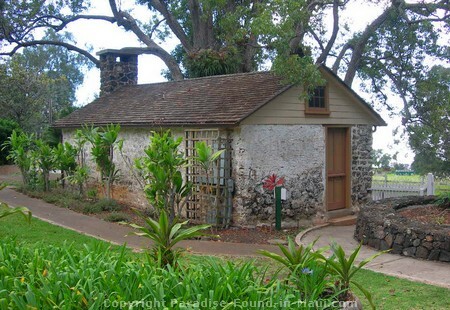 Or you can check out the adjacent "history room" which shows off the history of the Makee family and how they came to run the 20000 acre Ulupalakua Ranch with it's proud tradition of Hawaiian cattle ranching. There are several old lava rock buildings and they are so pretty. This old cottage dates back to the late 1800's and may have been used by Captain Makee as an office. From 1974 to 1997, it was used as a tasting room for the wines. 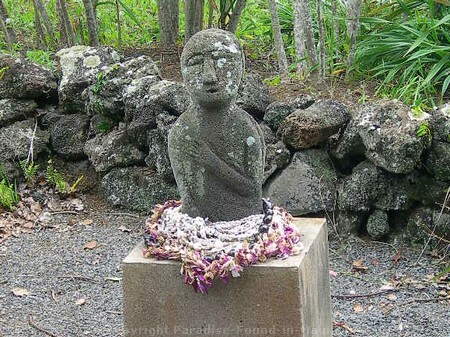 Check out this unique 2-faced stone statue - they say she is a rain goddess. Seems to me this area can use a rain goddess, considering it usually gets less than 30 inches of rain per year! 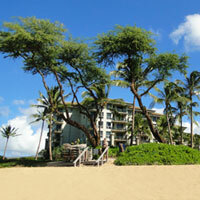 Today, people bring offerings such as flower leis to ask for rain in times of drought. 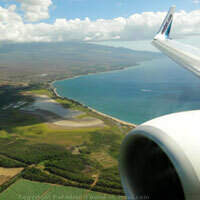 To get here, head towards Kahului first. 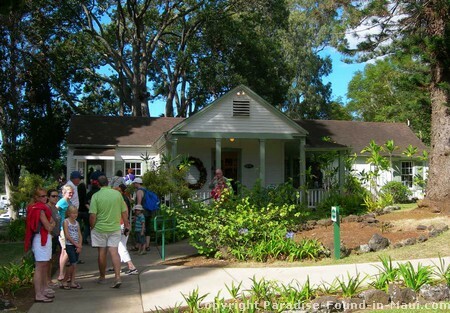 Once you get there, take highway 36 (the Hana Highway) east for around 3 miles, until you see a large intersection where you can turn right onto highway 37 (Haleakala Highway). You'll drive along highway 37 for close to 23 miles, until at last, you'll arrive at the winery.